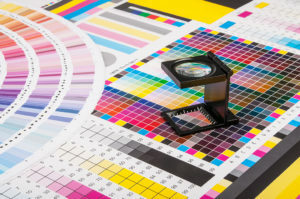 The Art of Print offers you the TIPS and TRAPS to better control a project. Following them will help bring a project to its successful conclusion. Ask if you don't understand - better to be self-conscious and right rather than "knowledgeable" and wrong. NEVER ASSUME - always confirm. Indicate on the design brief who the decision maker is. Never assume you are the final decision maker - there is usually somebody else who also has to approve what you are doing. Projects without the 5 W's won't necessarily fail- BUT, you are really taking a chance. ASAP is not a date. Supply copy before asking for design. Every project can fit a budget - but can the objective be achieved. There is no "bad" design - The designer just hasn't satisfied your requirements. French copy is always 2/3 longer than English. Be prepared to defend your choice of design and copy - the proper one is defensible. If you have to pay overtime - pay the writer and the designer - not the film house or the printer. Check for unprinted areas on the form - use them for notepads, flyers, etc. There are always alternatives - the question is "Which one". Good design can always be explained by the creative person. Never sketch a design - provide a critique instead. Film errors cannot be corrected on press. The colour you want is not always what you get from proofs. Every printer can do your job - but only a few have the equipment best suited to produce it at the lowest cost and best quality. Ask for the cost of extra thousands when requesting printing quotes. Equipment is not exact - ALWAYS allow for tolerances. Never approve a proof "with changes". Always ask for another proof. The cost of a project does not come from suppliers - it comes from what you specify. Press Oks are always at inconvenient times. Specify percent under or over. Suppliers have many other clients - never assume you have priority. Verbal instructions without written confirmation, are usually not instructions. Specify PMS coated or non-coated. Written instructions without verbal confirmation, are often misunderstood. Write specifications in as much detail as possible. If the only thing you master is "proofs" you have control of 90% of what can go wrong. Proofs are required whenever the material goes into a different form or stage. The more processes, the more spoilage.